Working conditions for Nicaraguan journalists have gone from bad to worse under the repressive regime of President Daniel Ortega. 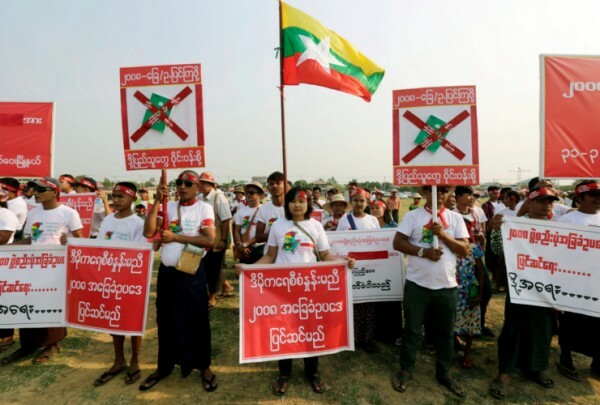 Following the start of a national protest movement on April 18, 2018, attacks on press freedom increased. Between April and December 2018, there were over 700 attacks on Nicaraguan journalists, according to monitoring conducted by the Violeta Barrios de Chamorro Foundation. Ortega and his wife, Vice President Rosario Murillo, have controlled the official truth in Nicaragua with an iron fist for over a decade. Immediately after taking power in 2007, Ortega and his family began to assert control over the Nicaraguan media landscape. Ortega’s family members bought several media companies and now own six national TV broadcasters. The economic benefit is personal, but at the same time the Ortega family uses these channels to spread their political message. This is a typical example, Nicaraguan journalists say, of how the Ortega regime blurs the lines between the president’s politics and personal interest. Independent and critical media have limited possibilities to cover state institutions. According to several Nicaraguan journalists interviewed by IPI, journalists from independent media outlets have generally not been allowed access to government entities since 2007. Ministers and other high-level officials refuse to give interviews to independent journalists. While independent media struggle to communicate the truth at the cost of tremendous repression, the state has been offering the public an image of normalcy and wealth. First lady and current Vice President Rosario Murillo is personally in charge of the government’s communication and the only person allowed to provide the official version of what is happening in the state. Until April 18, 2018, Nicaragua was outwardly peaceful and calm. But then, just in one day, smouldering public discontent bubbled to the surface. A group of university students gathered to protest against social security reforms. Their anger with the government had already grown earlier the same month due to the state’s weak management of a wildfire that destroyed large areas of Indio Maiz, the country’s nature biggest reserve. The government responded to the critics with force, prompting what would become a cycle of violence and repression. The state was used to successfully intimidating protesters, but this time it failed. When people saw how brutally the police and pro-government paramilitaries attacked unarmed students, the anger only grew. Rapidly, people of different ages and social groups joined the demonstrations, which expanded from Managua across the country in just a few days. In the first four days of the protests, the death toll rose to 25. The public started to demand Ortega´s resignation: The demonstrations were no longer a question about social security reforms, but about popular anger toward a repressive government. From the very first day of the protests, journalists faced dangerous conditions. Reporters were attacked while trying to cover the events. During the first days of the demonstrations, Ángel Gahona, a journalist and the editor of El Meridiano, was shot dead in the middle of an online broadcast about the protests in the town of Bluefield on the Caribbean coast. Gahona´s family believes he was killed intentionally to silence him. As Ortega and Murillo wanted to maintain the image of normality, various broadcasters transmitting violence of the protests were closed. Other media houses succumbed to self-censorship with working conditions turning insurmountably risky, journalists told IPI. 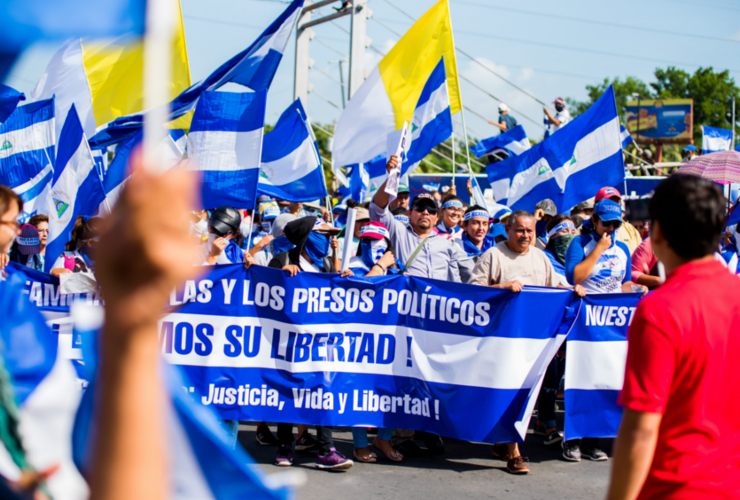 The Inter-American Commission on Human Rights (IACHR) has published a report dividing recent human right violations committed by the state of Nicaragua into four waves. The government´s violence against the protesters was considered to be the first wave. The second wave – or “the purge” – started last July, when police move to clear the roads of barricades built by protestors. The death toll continued to rise during this phase. The third phase was judicial and led to charges against various protesters. The latter, many of them students and human-rights activists, were prosecuted and in some cases jailed, frequently on terrorism-related charges. The fourth phase of the government´s repression was aimed straight at the country’s remaining independent and critical media. In December 2018, one of the last independent broadcasters left in the country, 100% Noticias, was forcibly closed. As a privately owned cable and online news station, 100% Noticias had been seen as the iconic broadcaster of the demonstrations. 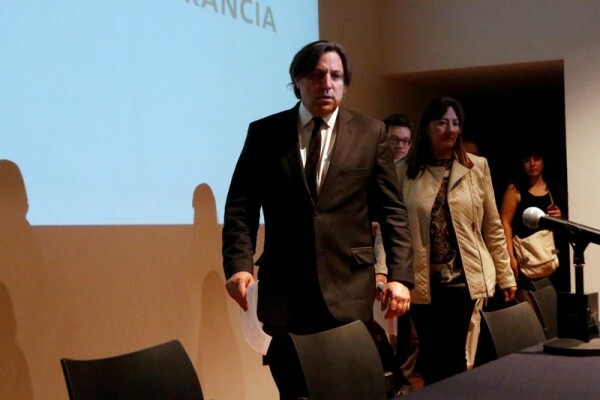 The director of 100% Noticias, Miguel Mora, and journalist Lucía Pineda Ubau were arrested. They both face terrorism charges. The closure of several independent broadcasters, the imprisonment of Mora and Pineda and the overall worsening atmosphere of death threats, insults, persecution and violence, have forced several journalists to leave the country. In the wider context, the four phases of the Nicaraguan state repression have led to the deaths of 325 people, with 2,000 more injured, according to the IACHR report. 550 protesters have been jailed, 300 health care professionals fired and 80 students dismissed from the Autonomous University of Nicaragua (UNAN). Almost all independent media have been closed. Those that are still left are struggling with severe financial problems. The state does not give public advertising revenue to independent media, and newspapers have denied raw materials needed for printing. Most of the over 60 journalists exiled from Nicaragua have headed to neighbouring Costa Rica. One of them is Gerall Chávez, who left his home in Nicaragua last December 30. He arrived in Costa Rica the same day, bringing with him only few pieces of clothing and less than 200 dollars. But Chávez saw himself forced into exile after a hate campaign against him escalated. Chávez had covered the protests since the start. Since then, he said, he has faced several threats and even physical assaults. His home was marked, with the word “PLOMO”, the equivalent of a death threat. He was pursued by a motorcycle driver. On the Internet he was called “a terrorist” and a propagandist paid by the United States. When Lucía Pineda and Miguel Mora were arrested, people called Chávez warning him he could be next. That was point, Chávez said, where he made up his mind, resigned his position at Vos TV and left the country. In Costa Rica, the conditions are hard. There is no any official support for Nicaraguan journalists seeking asylum. The good will of ordinary citizens is all they have. Many of the exiled journalists stopped working after leaving. But others, like Chávez, have continued writing about the situation in Nicaragua. Together with other Nicaraguan journalists in exile, Chávez created a platform called Nicaragua actual with updated news from the country. Similar projects have also sprouted in other countries where Nicaraguan journalists have found shelter, like Spain and the U.S.. In Spain, Edith Pineda, Uriel Velásquez and José Denis Cruz, along with two other exiled Nicaraguan journalists, founded Despacho 505 in January. Pineda, Velásquez and Denis Cruz said they felt they do could do more for Nicaraguan journalism outside the country, since “a journalist does not avail much, if in prison or death”. The protests deeply altered the Nicaraguan media landscape. People who previously accepted the reality offered by official and pro-government media began to search for new sources of information. The contrast between the violence on the streets and the tranquillity on main TV channels was simply too great. After the channels that broadcast the demonstrations were shut down, Nicaraguans began to film events on the streets, at universities and at barricades and uploaded them online. With the media closures, the Internet has become a main platform also for professional journalists, who also have to make do with alternative equipment. The journalists of Nicaragua actual use Chávez´s smartphone. Velásquez and Pineda bought one computer to Madrid and Denis Cruz writes on computers at public libraries.